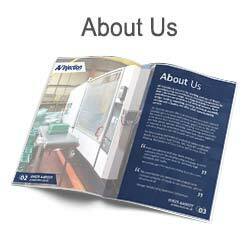 AVI is a ‘one stop shop’ for the plastic requirements of their clients, from initial design through to delivery. AV Injection is proud to be working partners of Bosch, manufacturing many injections moulded components for their Lawnmower range. Working precisely to detailed specifications we provide a full vertical solution, from design, tooling, moulding, printing, technical assembly, storage and shipping, we offer a full manufacturing service. We are a leading Plastic Injection Moulding company with long-established mould manufacturing relationships with many UK and International brands. AV Injection enjoys a vastly experienced in-house Tool Room, staffed by a team of qualified time served Injection Moulding Tooling Specialists. We operate over 30 injection moulding machines on a 7 day shift system, our constant shift pattern enables us to produce plastic moulds weighing up to 6.5kg. Our Plastic Parts Printing solutions can be utilised across a wide range of products, from Disney character plates and mugs, through to Bosch lawnmowers. The past 10 years we have established and trained a dedicated team of operators in our Plastic Parts Assembly department, proudly working with global customers. 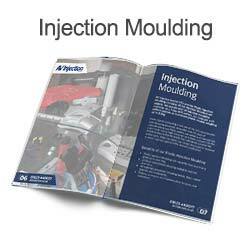 AV Injection is dedicated to ensuring your injection moulded product is delivered to you on time, in the correct packaging and for the ordered quantity. 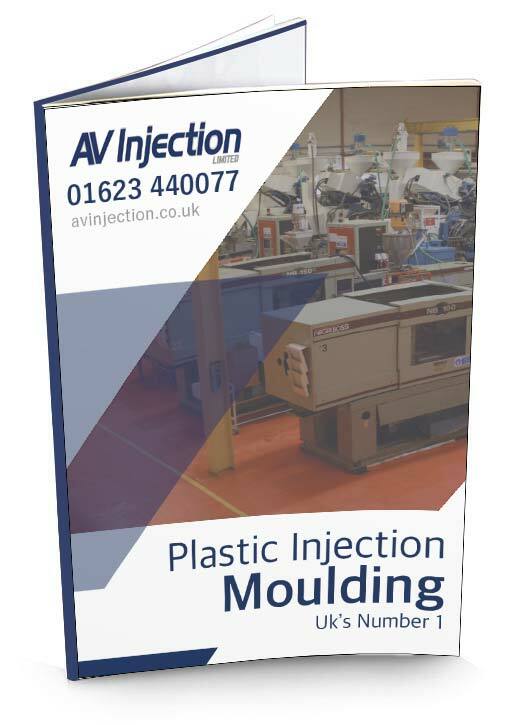 AV Injection Limited (AVI) is an established plastic injection moulding company situated in the Midlands operating a 24/7 manufacturing facility from a 5,500 square metre purpose built site that includes 33 mould machines, tool room, maintenance department and print and assembly departments. 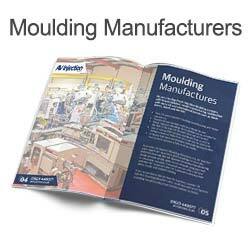 AVI offers full support from concept to completion drawing on over 30 years of moulding experience. AVI is a ‘one stop shop’ for the plastic requirements of their clients, offering the full service from initial design and prototyping, development stages through production and to delivery. AVI moulds all types of material for various sectors including electrical, automotive, building, domestic, point of sale and medical. Read more about what we do and how we could help your business with your injection moulding needs. Download our printable eBook, perfect for reading on the go, which is available 24/7, for further information please use one of our contact forms. "Our Building Products company have used AV Injection for a number of years now, we would highly recommend their company as they have provided us with an excellent service and really care about their customers. They have catered for our individual needs and have been reliable and flexible at all times. Delivery has always been prompt and the staff are welcoming are friendly to talk to. We really appreciate, and expect to continue to have a long term relationship with AV Injection for years to come." "Safe to say that AV Injection has once again maintained an outstanding delivery performance with no quality issues. Having managed to visit your site during the year I can also confirm that your facility is run to a very high standard which supports the above performance ongoing, please keep up the great work. Both your personal and your teams technical understanding of the manufacturing processes is world class together with your drive for extremely high standards and quality. Finally, may I take this opportunity to thank you for your ongoing support and wish you even further success during the 2016 financial year." "AV Injection and our company have enjoyed an extremely sound supplier / customer relationship for many years. Our thanks go the team at AVI for their help, capability and professionalism over these mutually fruitful years. We wish them every success for the future." "We continue to use AV Injection based on the services and quick response to our sometimes difficult requests for certain parts we ask them to manufacture. AV Injection has always provided our company with our requirements and never missed delivery dates or deadlines we have set. The quality of the product produced is always excellent even though our demands are very high and cost element is crucial to our business. I have always found AV Injection a great solution to my problem. You have a great team of very good people who are never phased by our requirements from the first telephone call to the delivery of my products." "I would like to take this opportunity to thank AV Injection and your team for the support with initial tool trails on tooling manufactured. The tools trails carried out at AV Injection plus the support and expertise offered by your team and your experience help both ourselves and our customer attain a production intent component in a timeframe which helps our company secure future business. Your continuing support is appreciated." "Sincere thanks to your team for the assistance you gave us recently when you moulded some plastic housings on our behalf, due to a tooling concern here at Enflied. The commitment you demonstrated enabled us to maintain continuity of supply to our customers, with no disruption at all. Please pass on our special thanks to Paul Hitchcock, Tony Lee and Lee Rate who co-ordinated the operation with my team. Again, our sincere appreciation for your strong support." Just submit your contact details and we’ll be in touch shortly. You can also call us if you prefer a quicker type of communication.